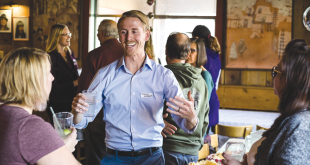 Just like when the Muellers purchased the ski resort, the town of Crested Butte is planning a champagne welcome parade for the Vail board of directors once the contract closes. Just kidding. But the town will be holding a community picnic this Friday at Rainbow Park. 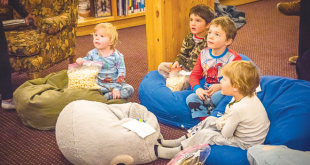 Join the town of Crested Butte in a community gathering to celebrate the start of summer. Enjoy free burgers and hot dogs, games and activities, and information about improving your home’s resource efficiency. A community photo will be taken at 1 p.m. Bring a dessert or side to share, and help us keep our environmental footprint small by also bringing your own cups, plates, and silverware. The Town Shuttle will begin operating on the 20-minute Summer Schedule on Saturday, June 9. The Summer Schedule will run daily, from 7:35 a.m. until midnight, through Sunday, September 30. The Gothic Bus begins operating on Monday, June 11. Buses depart the Four-way Stop in CB at 8:30 a.m., 11:30 a.m., 1:30 p.m. and 4 p.m. 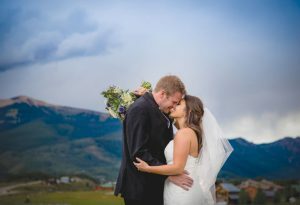 If you have any questions, visit the website at www.mtnexp.org, or contact Mountain Express at (970) 349-5616. Come out to a Garden Party Fundraiser on Saturday, June 9 at 704 Whiterock Ave, the home of the Verdecchia family, (formerly the Claim Jumper). 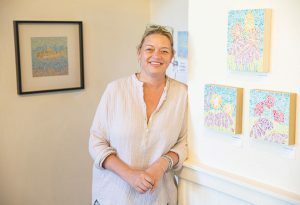 This event will be held from 3-6 p.m. and proceeds will benefit Stepping Stones Children’s Center. Vegetable and flower plants and starts will be for sale, along with custom garden themed cookies and cakes, mosaic stepping stones, hand painted planters, garden starter kits from Rocky Mountain Trees, hanging baskets, seeds, a lawn care consultation certificate with Keep it Green, cut flowers, and much more! The Crested Butte Mountain Heritage Museum invites the Gunnison Valley Community to view our newest exhibits for free on Thursday, June 14th, 6 p.m. to 8 p.m. The newest exhibits include Crested Butte 1960s Counterculture: Coming Together, The Jokerville Mine, and Exploring the Gunnison Valley: The 1873 Hayden Survey. 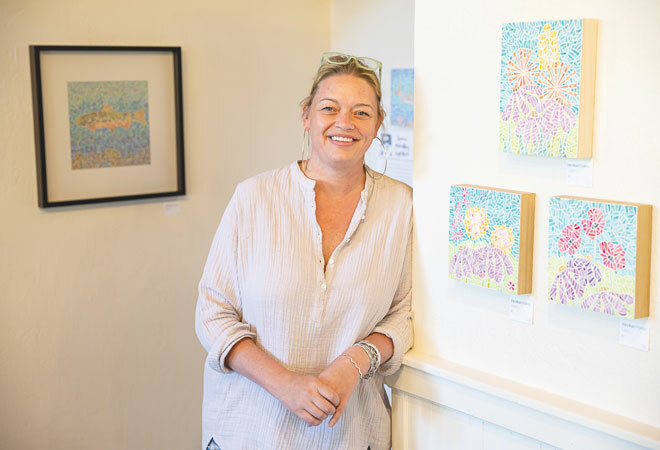 FEATHERS PETALS SCALES: Spencer Mahaffey Lightfoot featured her paintings in the Piper Gallery at the Center for the Arts and hosted an artist opening on Friday, June 1. CONGRATULATIONS: Ariel Passarelli and Josh Noreen were married August 12, 2017 at the Club at Crested Butte. 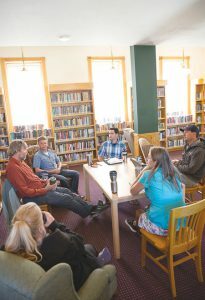 COFFEE WITH COMMUNITY: Scott Truex, Executive Director, and Anthony Poponi, Special Projects Manager, for the Gunnison Valley RTA were guests at the Crested Butte Old Rock Library on Thursday, May 31. Cameos: What is and will always be uniquely Crested Butte? Hanging baskets and people arguing over who’s lived here longer.